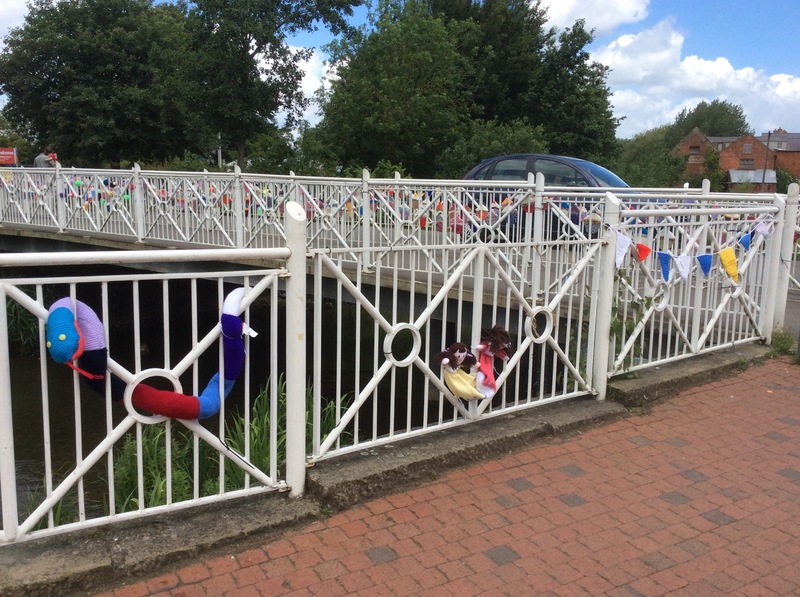 My morning walk with Maddie today was made even more enjoyable than usual with the discovery that Horncastle had been Yarn Bombed by West Ashby Women’s Institute! 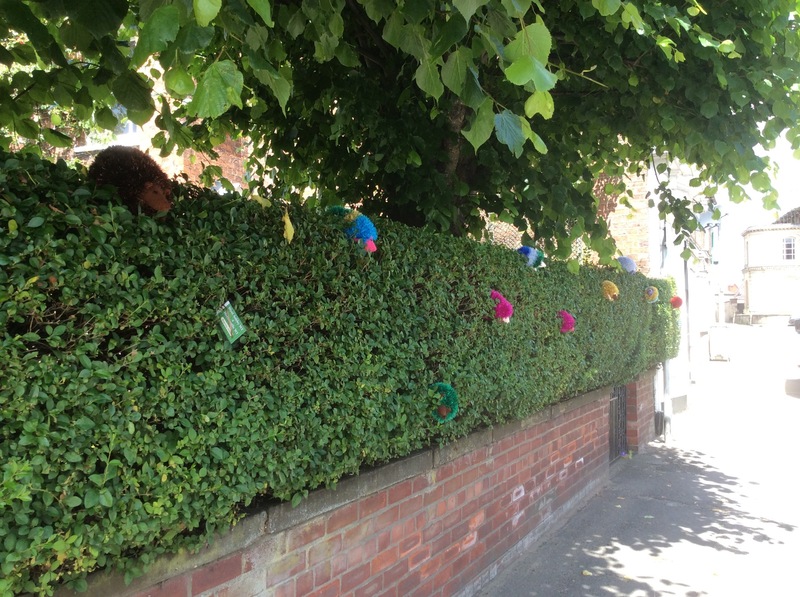 What a fabulous start to the day seeing all these wonderful creations decorating the town. 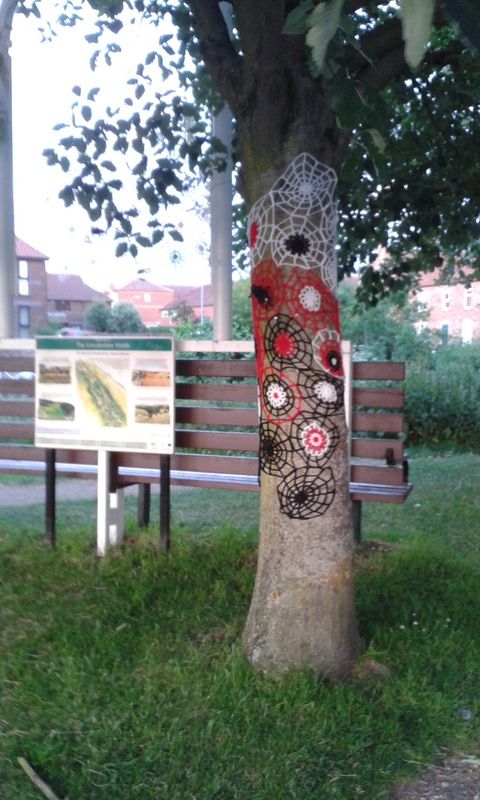 No doubt they were installed as part of the SO Festival which premiered in the town this evening and was a HUGE success. Crowds of folk turned out to see the Circus Heros, Sheesham & Lotus & Son, Thingamabob and the grand finale The FlameOz Fire Show. 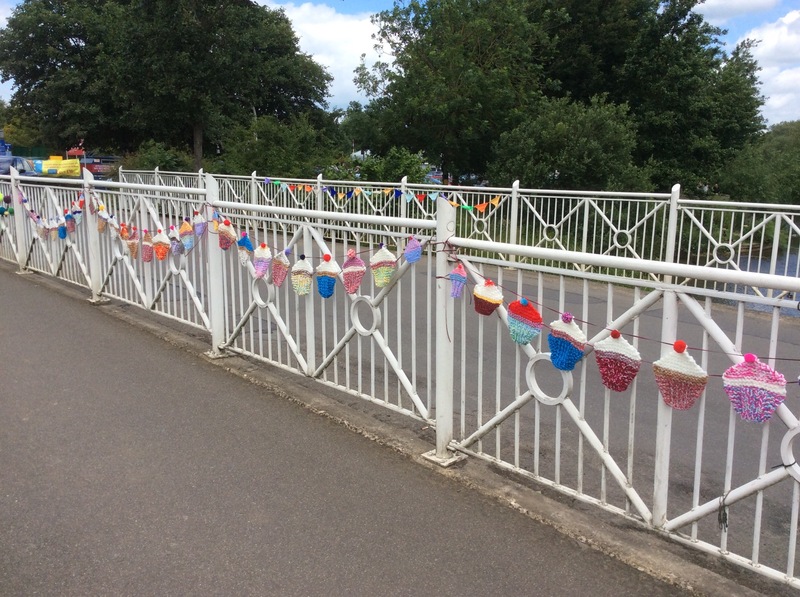 More about the festival to follow but for now here are just a few of the decorations that made me smile earlier today….. 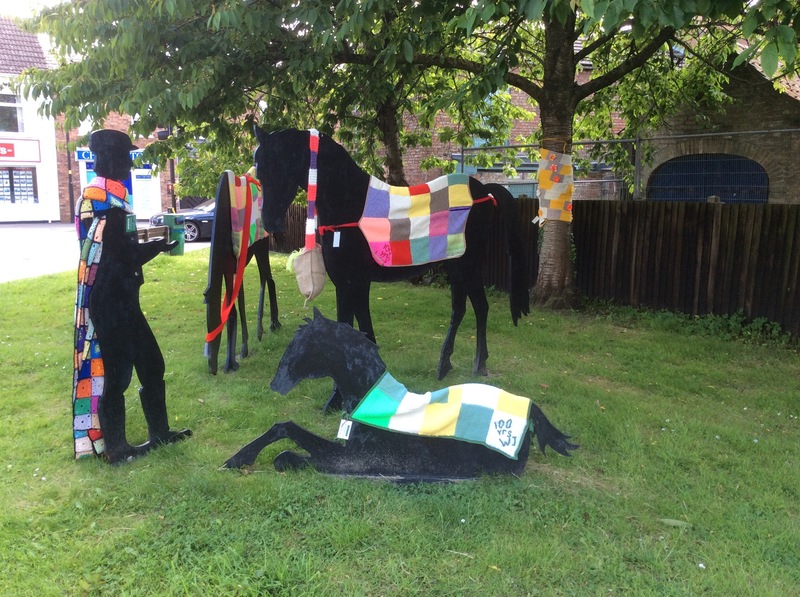 The horses on Jubilee way we’re given checkered blankets and a nose bag. 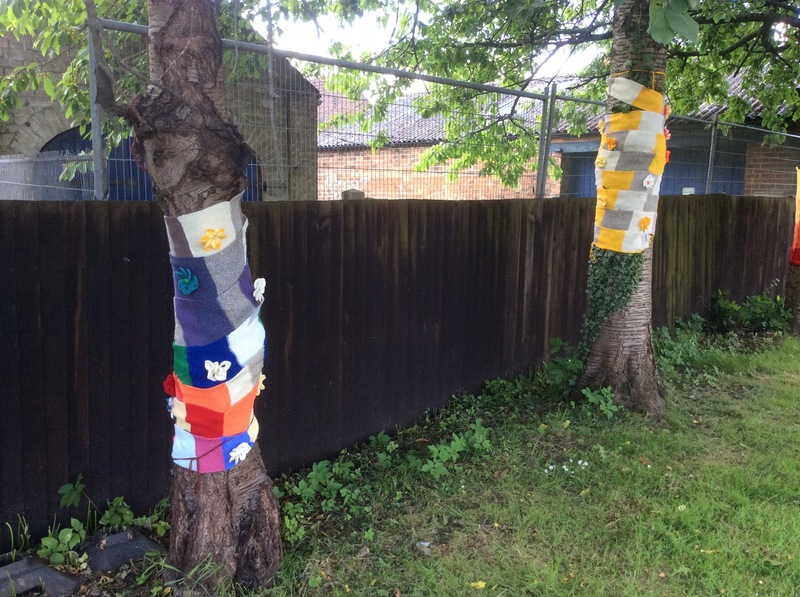 The trees were decorated with colourful wraps……. 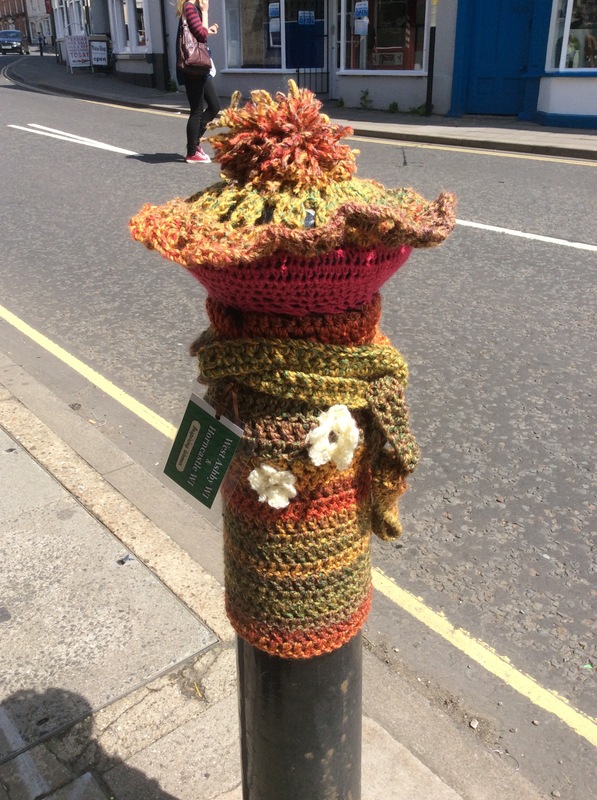 The bollards along the Bull Ring were sporting hats and scarves….. 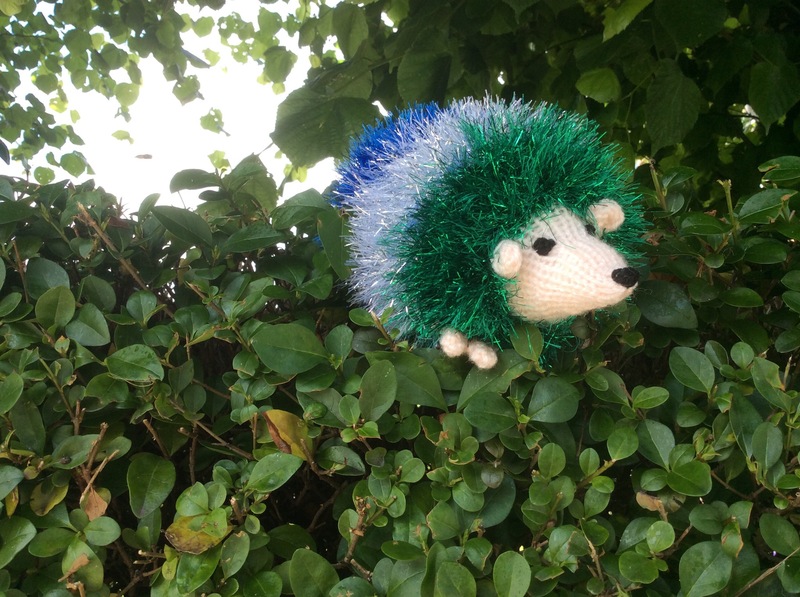 These “climbing” hedgehogs took me by surprise on North Street…..
As I approached the river on my way to Tesco it was evident that the intrepid WI ladies had also been this way……. 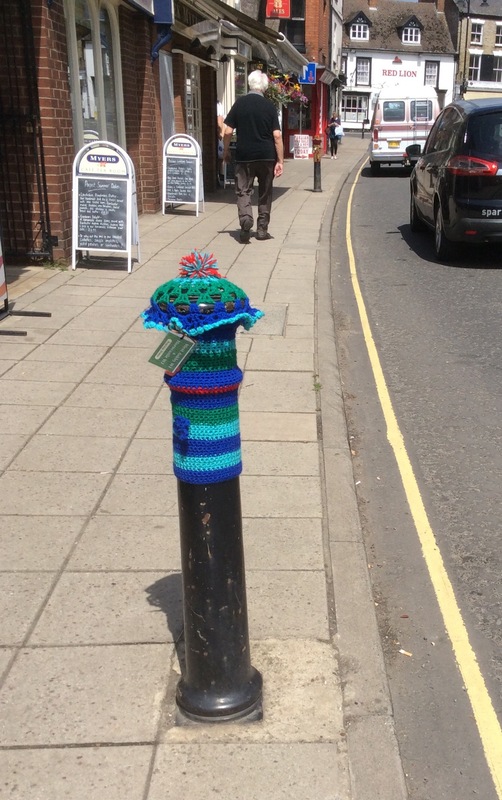 There are lots more installations around the town which I have been told of but haven’t yet seen. 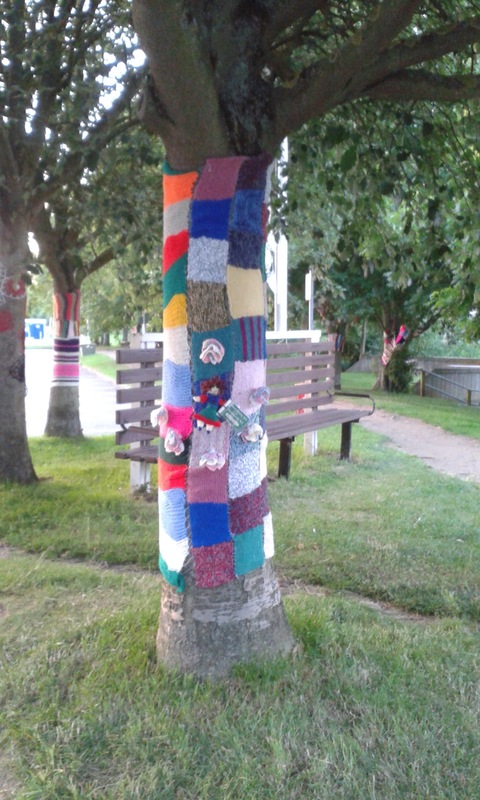 I just hope that the ladies of West Ashby WI visit us again with their wonderful creations! 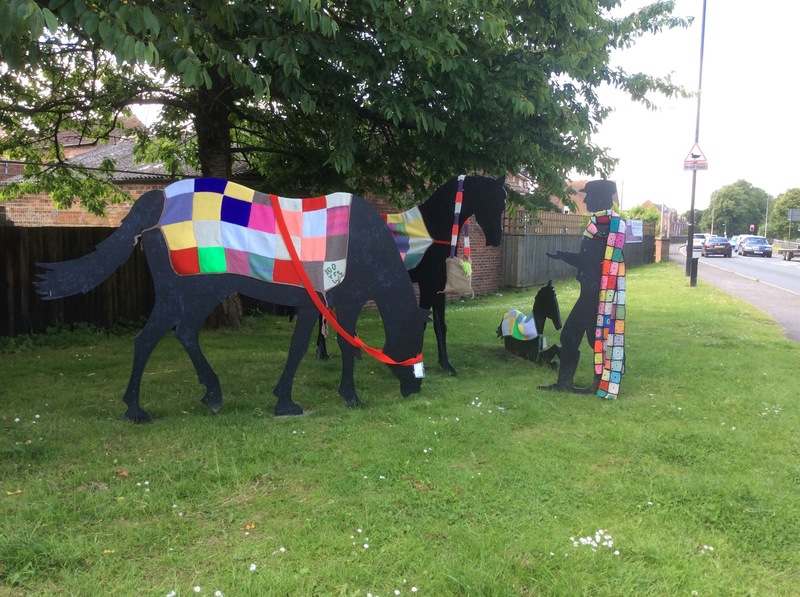 ← Quilts in the Wolds…. Thanks Flower. Glad you stopped by as it gave me the chance to discover your blog which I really enjoyed. 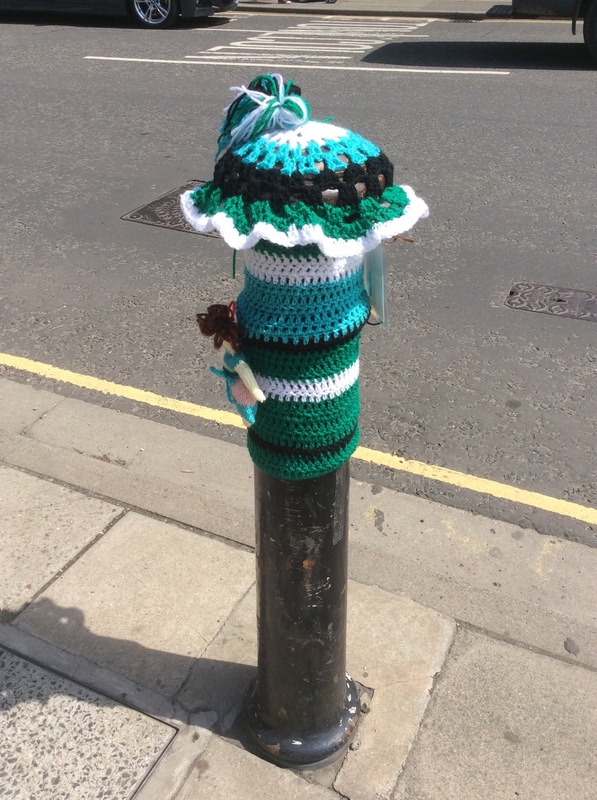 What a fabulous sight! Wish I’d seen it! It really was, and you never know, maybe a local group of like minded crafters will put on a similar show somewhere near you in the future! 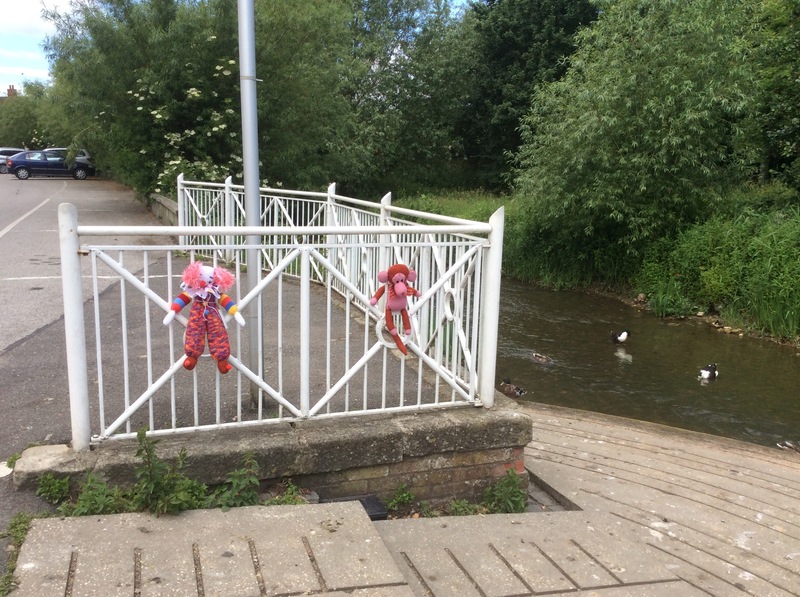 Thanks for taking the time to look at my blog and giving me the opportunity to discover yours.